Ontario Fishing Season varies depending where in the province you want to fish and on the time of year. But since one of the great loves from the Great Lakes is FISHING, it is in your best interest to know what is in season and where you can fish. For many that is a trip to stand or sit on the docks and drop in your line. In Southampton you can also go to Denny's Dam and stand by or in the river and fish. At the right time of the year you can watch the fish swim up the river to spawn. You will of course require a fishing license before you start! Looking for your favourite fish? Here are some popular fish types and when and where they are in season to fish in Ontario. Lake Ontario is part of Zone 20; both Atlantic and Pacific Salmon have fishing seasons that are open all year but have aggregate limits applied. Salmon fishing is open all year at all the other Great Lakes as well, but pay mind to the limits for each of these zones. Salmon is stocked into the Great Lakes area, with the majority going to Lake Ontario. Atlantic Salmon is closed all year in the remainder of Southern Ontario and Pacific Salmon has restrictions depending on what Zone you are fishing. Unlike Salmon, the Ontario fishing season for Walleye is restricted to certain times of the year depending on the zone. Walleye is off limits for part of April and May in Lake Superior. You can fish Walleye in Zone 9 (Lake Superior) from Jan1 to Apr 14 and the 3rd Sat in May to Dec 31. Walleye is also restricted in Zone 20 (Lake Ontario). You can fish Walleye from January 1st to March 1st and the first Saturday in May to December 31. Walleye is open all year for fishing in Lake Huron, Georgian Bay and Lake Erie. For the rest of Southern Ontario Cottage country avoid fishing Walleye in April & May as a general rule of thumb, except for Zone 17 (around Peterborough, Kawartha Lakes region) which you should only fish the later part of the year (the 2nd Sat in May to Nov 15th). Carp is a fish that is not widely popular amongst Canadian and American fisherman but is popular with British and European tourists. From what I can tell there aren't any restrictions of fishing Carp in Ontario due to its overpopulation in the waterways. Carp are found throughout the Great Lakes and St. Lawrence Waterway. Bass fishing has restrictions on both Largemouth and Smallmouth varieties. 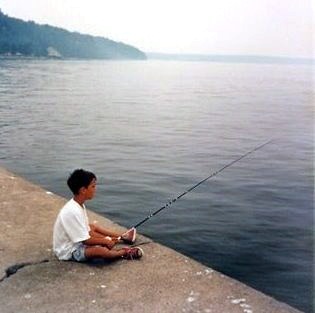 In Lake Ontario you can only fish Bass from the 4th Saturday in June to November 30th. 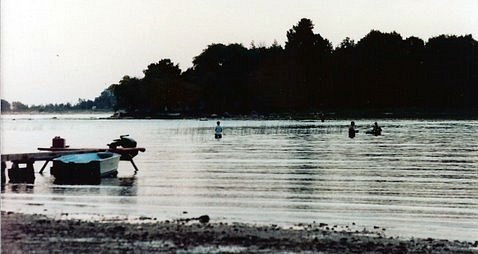 The same restrictions on Bass Fishing are present for Lake Huron, Georgian Bay, Lake Erie and inland lakes in Southern Ontario. The Ontario fishing season for Bass is open all year in Lake Superior. This fish is not found in Great Lakes like Lake Huron & Georgian Bay. It is however found inland and has varying restrictions depending on the zone. Brook trout is available to be fished year round in zone 18 which is the area around Ottawa. Areas south west of Zone 18, Brook Trout Fishing is restricted to the time between the 4th Saturday in April to September 30th. For specifics on the zone you will be fishing in, plus exceptions to the rules and limits check out the MNR website. Want a bit of competition while you fish? Then you might be interested in the Fishing Derbys! Just to name a few; The Owen Sound Spectacular Bruce Peninsula Fishing Derby and the Chantry Chinook Classic. In fact there is a fishing tournament for almost every month of the Ontario Fishing Season ranging from the Perch Lake Bass Tournament west of Thunder Bay to the Great Ontario Salmon Derby on Lake Ontario. Return HOME from Ontario Fishing Season.